This is just an observation and there is no criticism of any view intended. It appears to some of us, that our large scale railway interest is a transference of previous (or just ‘other’) endeavors from other scales into a larger scale. In some (most?) cases this involves going into the garden. It appears to me that this often results in the large scale, or garden railway still being a ‘layout’. I’ve even seen people refer to an outside train set. I think this oft time results in creating what is essentially a indoor or smaller scale model railway but outdoors. Some create railways in an elevated fashion (for some really good reasons) which results in a genuine inside ‘layout’ being moved outdoors. Another faction create a railway that actually sits in the environment, working with the lie of the land, so to speak. In this case the line is often at ground level, with all the issues that is involved with that. As I say, there is no suggestion that one approach is better than the other, I’m just interested in everyone’s thoughts. Something on a baseboard, with artificial scenery, is clearly a layout. It can be indoors, or outdoors. A railway, set in the lay of the land is just that, a railway. That's how I see it. However, each to his own. We are lucky (mainly), to have escaped the moniker of 'train set' . Whatever we build, it will always be a model railway - be it a scale model of the real thing or a flight of fancy. We have no living 1/20th scale humans to operate the garden line so therefor it is a model. There is one big, and indesputable, difference between indoor 'layouts' and garden lines - the elements! And, at the end of the day, rule 8 applies. We recreate what's in the mind's eye so, for me, I have a layout in the trailer and a line in the garden. Both share a commonality - the gauge and the rolling stock!. I think there are many reasons to choose one or the other. For some it’s just a way of seeing the nice models of trains, others want a recreation of the real scene in miniature then others want a miniature operating railway. The borders between those are fluid depending on the depth of interest, space, time and pocket depth! As said at the top none is better than the other, just what each of us want to do within our ability. To my mind a Model Railway becomes a Railway when it serves some kind of purpose. Whether that be to Harvest Fruit or Vegetables, lug weeds around or even soil for planting. The other case is where Timetable (even to a Schedule) is indulged in. That is what floats my boat and I get a lot of pleasure creating Timetables and getting all the Wagon Cards Sorted with Waybills for the next Operating Bash like I am hosting this Wednesday. Many in our scale appear to be happy just watching a Train go round whilst enjoying a Beer, Glas of Wine, Cup of Hot Beverage and that is fine if that is what they/you like. Rule 1 and all that. A man once said if you lay some Track on a Table it is a Train Set, add a Signal and it is a Model (of a) Railway. A question to be included, could be: WHAT ARE YOU ATTEMPTING TO MODEL ? Model Railroading has all sorts of options, and interest groups. There is bound to be an option that might appeal to just about anyone. 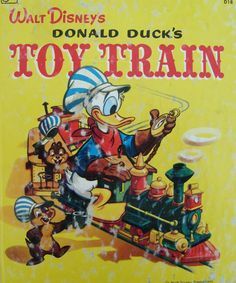 I started out as a child; introduced to "Toy trains" by my father, who helped and supported, what grew to be a HOBBY with a multitude of interests to appeal to my imagination, and inquisitive mind. It played a CONSTRUCTIVE role, in my overall education. The part of the hobby that finally became most interesting to me was "Modelling a railway". Not just a "Train set", not just a locomotive, the track, or the rolling stock, but; "A Railway"
This involves, as a base; the reason for a railway...stretched to be called "A part of the rail transportation industry"
Of course this meant that over time; I lost interest in only watching something going in circles, around a track...no-mater how great the model was. I had progressed through a lot of the scales and gauges, enjoying and cherishing each, and finally hit on "Large scale". Something "Operating" on Gauge One track. I chose what MY railway would look like, and what industries I would be offering transportation services to. The type of locomotives, and rolling stock were determined by need. I did not get snagged on modelling an actual railway, which might limit me to their equipment. This way of approaching the broadness of the hobby, doesn't hinder me from enjoying watching a "Train" run around in the outdoor setting, while quenching our thirst with friends...but it does open the options to prevent boredom, from setting in and driving me away from the hobby. If anyone cares to carry on this "Train" of thought; please jump in. As others have said. I think it depends on how you run it. Sometimes, I run my railway like a trainset - I put a random train on the track and set it running round and round - usually while I'm doing something else such as gardening or entertaining friends. At other times I run it like a real railway (or what I think a real railway would have been like) with trains running end to end following a timetable and goods trains shunting wagons to and from each station. When I first started, it was just some track in a garden, but over the years I've added more lineside infrastructure. However, I don't always put out all the buildings, vehicles and figures, especially if I just want to run a random train. Some of my railway is at ground level and some on raised planks - my imagination ignores what I dob't want to see (including a massive great 1980s house, sheds, greenhouse, washing line, garage, people........ etc). And then there are those of us that have neither track laid in the garden (Garden Railway) nor track laid on baseboards (Layout), who just spend hours and hours, indoors, just creating a fleet of railway vehicles that one day might run on a layout. It's a railway when it gives you enjoyment, it's a train set when it doesn't. I think I am at the 'voices telling me..' stage? The problem is, there are many voices, in many scales/gauges, at the moment.. I fear I may end-up with more than one track out there! I do not think I have the skill to build what I really want, in the scale I would like it? There may also be physical reasons, that the 'mix' would not be reliable, though I remain to be a bit maverick about that! - Practical experience will tell. It depends on the situation, I have had both indoor and outdoor layouts. 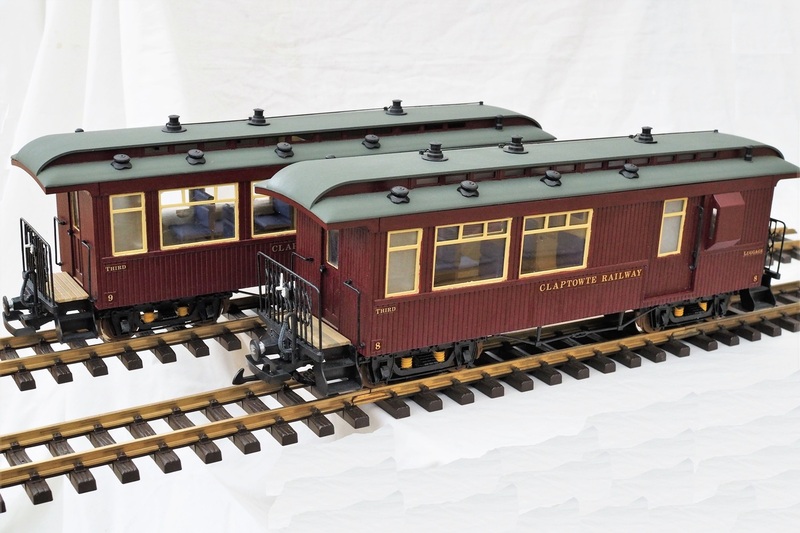 Living in a house you can go with a railway, but in a flat layouts are a good option. Never thought about it really, but having now thought I tend to refer to the big toys in the garden as a "railway", whereas the N gauge toys in the loft are a "Layout". Im afraid, im a train set mindset, yet, i want a railway integrated into my garden, as it is, but i have fits envisioning this. Its odd the happiness i get from simply watching round and round. And building stuff, and switching it about, US, then Euro themes. I do switch, but, i have only one station and yard, 3 sidings, all hidden from our patio and dining area, on a largish berm. But, there is laziness, or perhaps, prioritizing, ease of operation, maintenance, access, and, interference with existing beds, trees, etc. The idea of importing literally tons of materials and the permanence (this is the crux for quirky me) is more commitment than i want, right now. I change my layout every few seasons. There is a part that wants an elevated live steam type of layout, yet i love plants, detailing, and structures with vignettes. When done well, an integrated and landscaped railway is thrilling, and so is the cost. I have a couple of friends that have layouts that completely dominate thier gardens, and worse, look amateurish. I want artful, and thus, am reluctant. Most importantly, i do not want an intrusive layout which disturbs the overal serenity of the garden and patio, especially for my guests that are “grown ups” and not really interested or entertained. I already have half a basement of n scale, and swmbo has mixed feelings, to say the least. I think ill buy a second home...then decide if i use the garden, or the entire house for a layout! Or maybe, i should simply get a rc boat and give up....such are the problems of the first world. .... I think ill buy a second home...then decide if i use the garden, or the entire house for a layout! Is that with or without SWMBO?